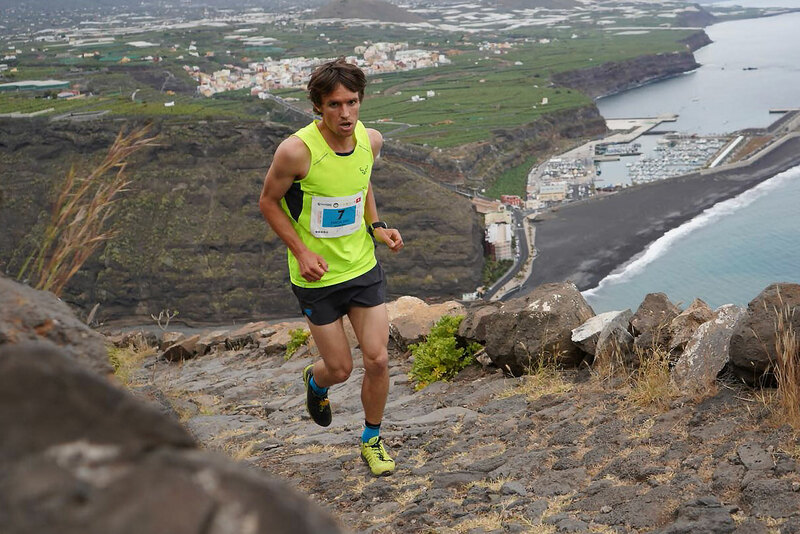 The Transvulcania Km Vertical starts at sea level on the Tazacorte beach and ascends the GR-131 trail, a downhill section of the Ultramarathon course. The steep path ascends the cliff face of El Time to Tijarafe, at 273m where, looking back, a wonderful view of Tazacorte and the coastline unfolds. The course continues its ascent, alternating path and road, to the View Point Restaurant El Time (513m). Back on the main route, a local trail is joined which ascends to the TV antenna (722m) and the viewpoint of Piedra del Guanche (750m). Again, the GR.131 is joined at 1,000m and tops out at the forest lookout tower of El Time at 1.600m where views of the Northeast side of the Island and the Aridane Valley open out. Longer than most VK’s, the 7.6 km course totals 1,203m vertical climb.